Chennai-based Sathyam Cinemas (SPI Cinemas) is going to invest Rs.500 crores, to construct Imax screens, 40 multiplex screens across Andhra Pradesh. 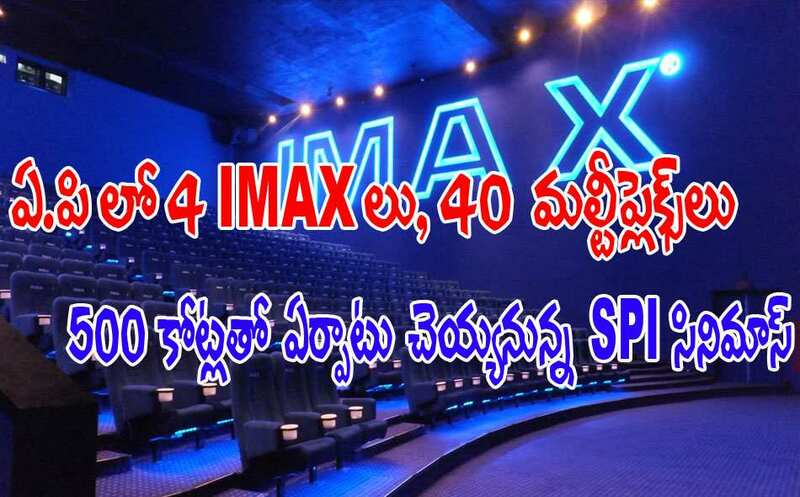 The 4 Imax screens are going to come in, Vijayawada,Guntur,Visakhapatnam and Tirupati. SPI Cinemas is a leading player in the entertainment industry offering services such as exhibition, distribution and production. SPI Cinemas are currently located in Chennai & Coimbatore. I am ganesh from vinukonda in guntur dist. I have a dream to built multipelx in vinukonda town , but my have no experencie and also some my fanacial backward not good . I have some place my own in vinukonda it will help to built multiplex in there by adding some place to it. If SPI WILL help me to bulit multipelx in vinukonda i will work hard for these project .if there consider my request plz call me 9966434748 s.j.n.ganesh.